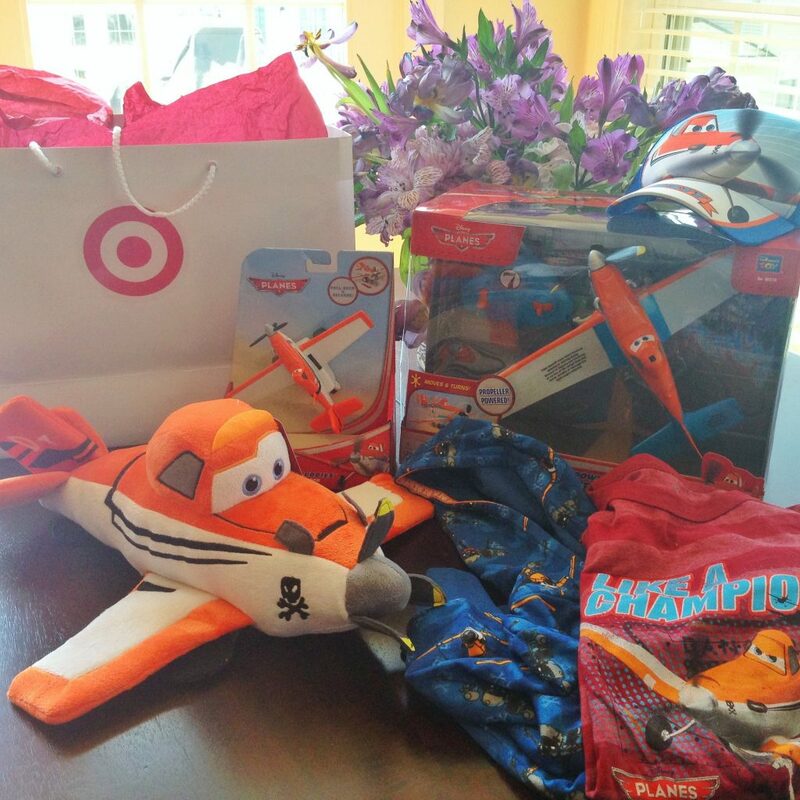 Disney ‘Planes’ Giveaway from Target! UPDATE: Congratulations to Denise Morse for winning the giveaway! Thanks to everyone that participated! If you’re a loyal follower here at Dad or Alive, you’ll know that I don’t often give things away. In fact, if you saw my basement, you might email my information to the casting department of ‘Hoarders’ to be featured on a future episode. As I mentioned in a recent post, Ava and I were lucky enough to have the opportunity through our friends at Target, to fly to Los Angeles (this hilarious recap story is coming next week) and attend the world premiere of Disney’s Planes movie. The folks at Target sent a few preview items along for Ava and Charlie, BUT ALSO sent along a prize package for one lucky kid (or adult if you love toys like me) out there! This pack includes a kids Large Dusty ‘Like a Champion’ tee, kids baseball cap, kids (more for boys than girls, but Ava fell in love with it) 24-month zip-up Dusty hoodie, a Dusty cuddle pillow (this works, I’ve used the one they sent Ava on some of my ‘down days’), an illustrated bedtime book (with pop-out planes), a ‘pull-n-fly’ Crophopper which zips across the floor as the propeller spins (watch your ankles folks!) and in my opinion, the BEST toy of all is your very own infrared Dusty remote controlled plane! I’ll be starting this giveaway process today and will declare a winner (through actual scientific means, I’m not picking out of a hat or anything) a week from today, Thursday, August 29th. If you’re interested in surprising someone with these amazing items, please enter above to win! « An Exclusive Interview with the cast from A&E’s ‘Modern Dads’. My 4yo loses his mind every time he sees anything on this. So if I don’t win, I’ll probably end up buying at least some of this.